Adrenaline pumping by full thrill ATV Ride ! 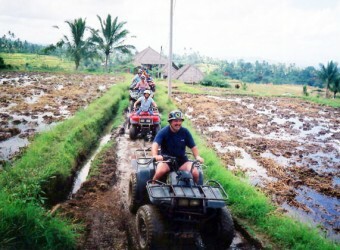 Bali Activity ATV that will thrill as well as give you the memorable chance to be part of green - lush nature paradise scenery. World-famous paddy terrace, flowing mountain streams and greeeny forest, which complete your ATV's adventure. You will be aquipped with well maintained cehicles and a professional instructor is ensuring a pleasant and safe journey.